This new designed reprint describes the latest developments and tendencies in coating technology. The emphasis is placed on coating applications like automobile production coating, coil coating, automobile repair coating and industrial coating in general. 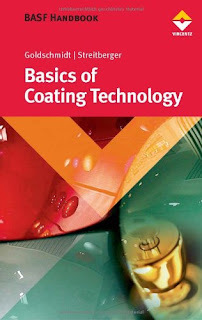 From product composition, raw materials, principles of product formulation and the relevant production processes over theoretical aspects of coating composition to applications and the substrate's impact on the coating process - the BASF Handbook on Basics of Coating Technology covers all these topics concisely and every time right on target. Additionally a journey is taken through the various industrial sectors of the paint and coatings industry with the aid of a large number of examples and illustrations. Particularly interesting for newcomers to the industry and practically-minded readers. Standard tables, general performance indicators, definitions of terms and a comprehensive index round off this worldwide well-known standard work: a classic - simply indispensable!